Relationships are an important aspect of our social realm. It's a way to stay connected outside of ourselves. The saddest part is not knowing when and how to walk away from unhealthy ones. Through her business gmichelle, Michelle White from Atlanta, GA, ends her time as a bystander and becomes the ultimate advocate in relationship education. With extensive experience as a licensed social worker, clinical therapist and statewide trainer working with people who have survived interpersonal trauma, domestic violence, and child abuse, Michelle understand how difficult it is to overcome the pain felt from unsafe relationships. We’re aware that we have sisters in domestic violence relationships, mentally abusive relationships and in emotionally abusive relationships. So that means we need to do more to show them they aren't alone and someone is there to help. Michelle’s web platform has resources, podcasts, downloads and an array of tools for guided meditation and ways to help you find a therapist. 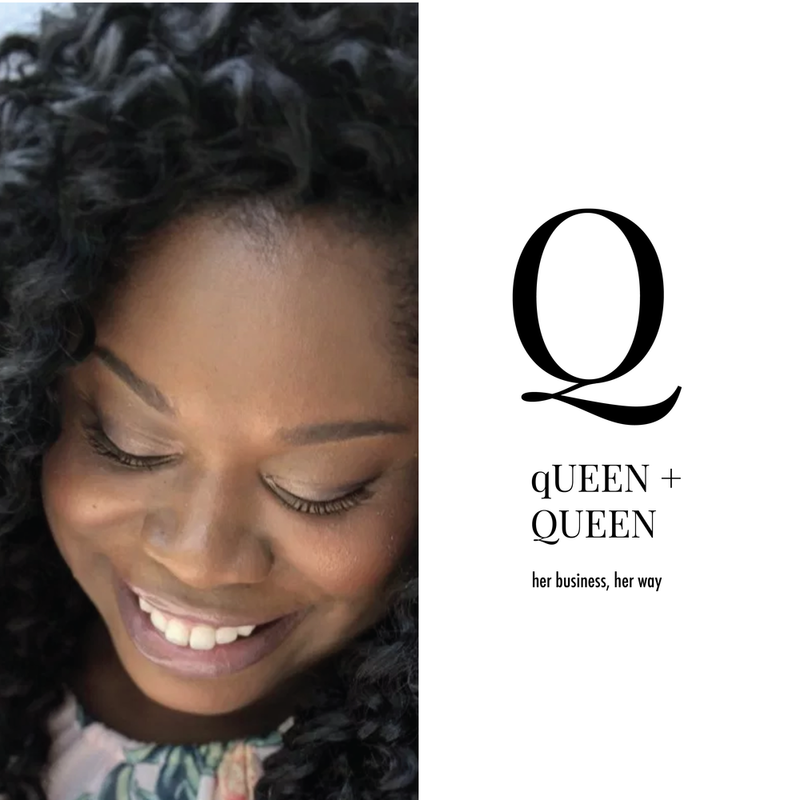 Her latest edition, “Self Explore, Self Restore: A Guided Self-Care Journal Created to Support Your Relationship with Yourself” By helping to create an environment for people to feel safe, we have deemed Michelle White as Queen of the Safe Space. What inspired you to start your business and why? : As a licensed social worker in the domestic violence and child abuse fields, I have learned how important it is to have a healthy relationship with your loved ones. Experiencing abuse, trauma, and pain from the people we love and build families with is an indescribable feeling. Through gmichelle and the Self Explore, Self Restore guided self-care journal, I wanted to create a safe space for folks to learn about the relationship dynamics in a friend, family, work and intimate relationships. My hope is to help foster a community that is educated in healthy and unhealthy relationship dynamics, treasure the relationship we have with ourselves and find opportunities to heal through gmichelle. What does your company stand for? : gmichelle is my first and middle names, Gennifer Michelle. I was named after my mother and my grandmother spelled Gennifer with a G! My company stands for healthy relationships, understanding how abuse and violence impacts relationships and highlighting the importance of loving and caring for yourself. How do you create the life you want? : I create the life I want through envisioning what an ideal life looks like for me and taking small and manageable steps to get there. My idea for gmichelle and the Self Explore, Self Restore journal started by just writing down self-care ideas that I would share with survivors when I was a domestic violence counselor. The ideas accumulated into a journal with guides and prompt for anyone to use. By following through with each small step, I'm getting closer to creating the life that I want! Where do you find inspiration? : I find inspiration in others! I love connecting with people who create, share and develop resources for healthy living. I find inspiration in hearing others stories of empowerment and learning what steps they took to get where they are now. I am in awe of the people and IG accounts I follow, as there are so many engaging and diverse ways for folks to find healing. I want to learn about all of them! How has your business made you a better person? : This is such an insightful question. Beginning gmichelle and the Self Explore, Self Restore guided journal has helped me remember that I am a creative person that loves helping others. My business had made me appreciate all that I contribute to the self-love, self-care world and I am happier, more productive and more engaged in the work that I do now that I have started this business. I'm grateful for this process. What makes you HUMAN? : Feeling all the feelings makes me human! It can be difficult, but being connected to my emotions reminds me that I am grounded and natural and a part of this earth. And ya know, I'm also not alone in feeling all the feelings! Yay humans! Social Media Handles: @thegmichelle and Michelle White on LinkedIn.